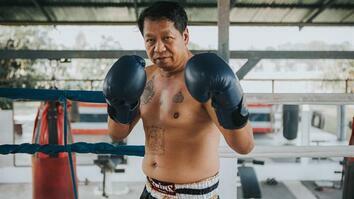 Meet Estaifan Shilaita—Chicago cab driver, loving father, and former boxing champion. From 1968 to 1976, Shilaita was the national boxing champion of Iraq before being forced to flee his home country because of his Christian faith. Although he left his boxing dreams behind, Shilaita eventually found greater happiness than he could have ever imagined. In this heartwarming film by Brett Garamella and Patrick McGowan, hear Chicago taxi driver Estaifan Shilaita’s incredible tale of family, faith, and fulfillment.